Meet your friendly guide, sign the disclaimer and get helmeted up. Get onto your Segway and learn the simple techniques of movement. Move off gently on the flat, build your skills and confidence. Head for the hills! 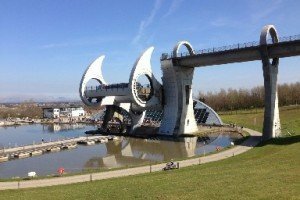 Reach the top of The Falkirk Wheel, where there are lovely views of The Wheel itself, then beyond to the Forth and Clyde Canal, and the views of the beautiful Forth Valley. 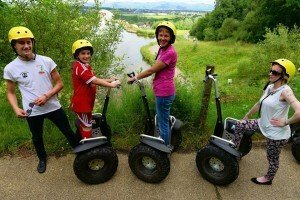 Our Segway Tours are guided by experienced instructors and follow off-road routes. We believe the tours we offer are amid the best and most breathtaking scenery in the UK! Tours in Glencoe & Falkirk are in the great outdoors so please dress appropriately and be prepared for all weather conditions (your tour is likely to operate whatever the weather). Winter tours can pose a challenge with adverse weather conditions, if our guide deems the route as being too dangerous we may have to re-schedule you to an alternative day and time. We do our best to avoid this but we can’t beat the weather and your safety and experience is paramount to us! We want to make sure you have a memorable experience, for all the right reasons! Wear sensible shoes, you’ll be on your feet for the duration of your tour so please wear comfortable footwear (we find trainers with a sole to be best). Please make sure you arrive on time for your tour, particularly in high season where we experience a large number of visitors and each experience must keep to time. 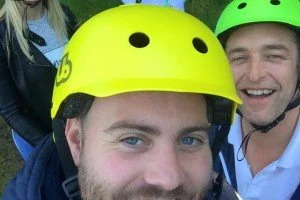 So, keen Segwayers: if you have booked your slot online make sure you are on time and if you foresee any issues, give us a call to let us know. Now for the fun stuff! Head over the page to the right and check out the tours we offer in our sites in Falkirk and Glencoe. Find out more about this magical experience! Join one of our tours - or design your own! A fantastic gift that won't be forgotten! New! “Segway on Tour”, we’ll bring the fun to you!